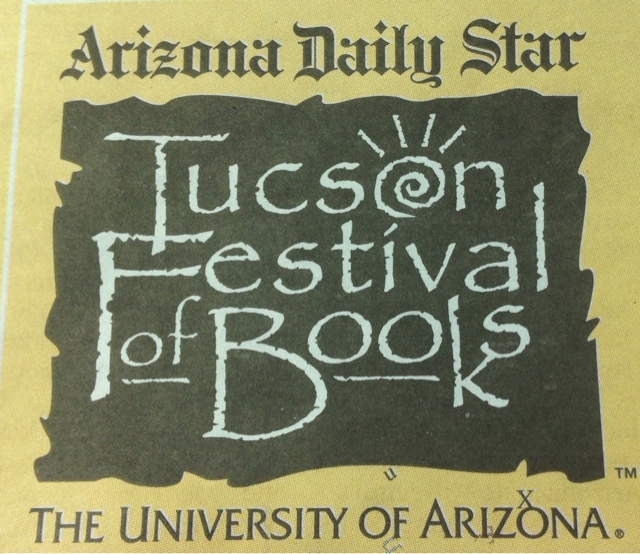 This is my second year of attending the Tucdon Festival of Books and it is something I so enjoy that I was willing to drive all the way back from Los Angeles for it. 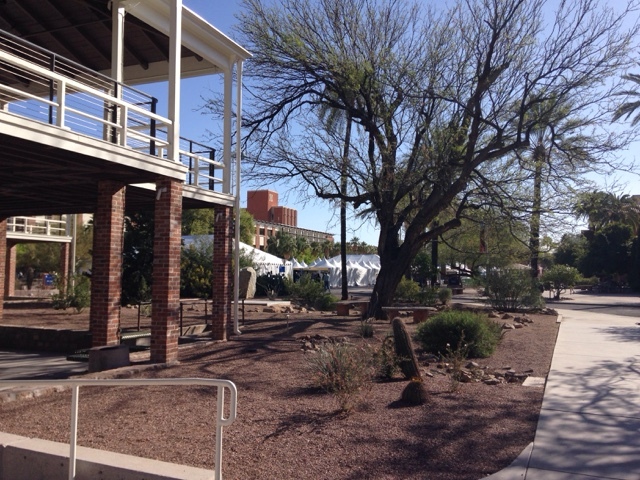 The Festival is held on the University of Arizona campus. 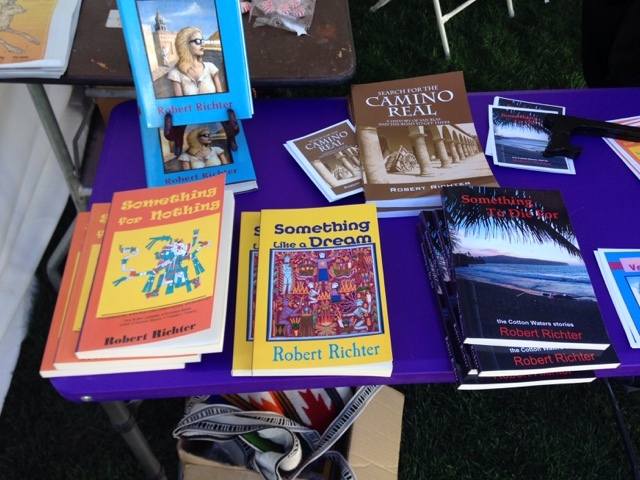 One of the first authors I met today was Robert Richter, who has been writing for years. He has just written "Something To Die For". A mystery of a US Citizen who is in Mexico illegally. Here is a selection of books. 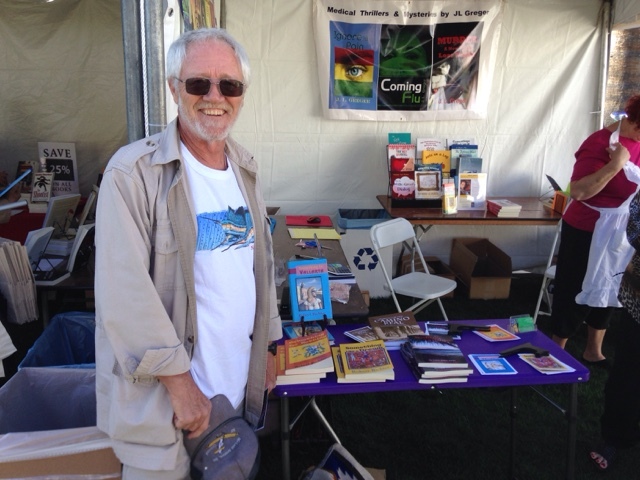 Here at the festival you can meet many authors, get your favorite book signed, or attend one of the many discussion groups. 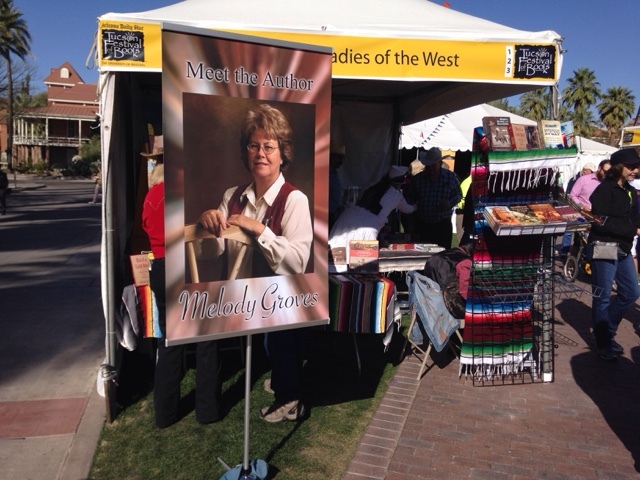 Here is a western themed tent with a woman and a man both dressed in period clothing that have books based on old western stories. A delight of mine is to look through the children's book section looking at what would be a good read for the various ages of my young granddaughters. 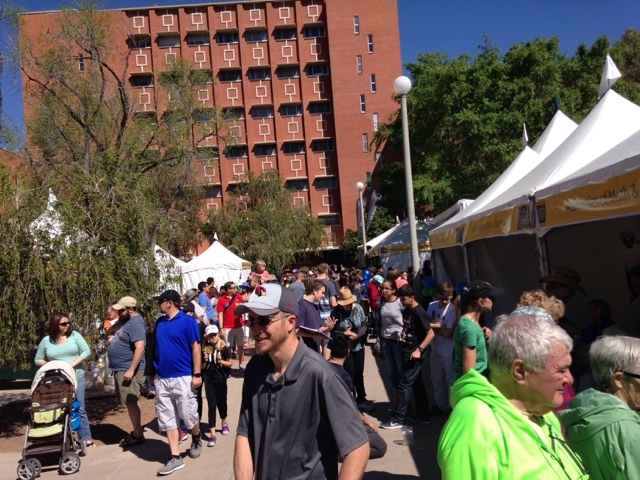 The line to check out of the children's tent took me over a half hour. A long line stretched in a serpentine fashion through the area for children's books. I asked about the line and was told the author of the Goosebumps book series was signing. The line was so long. 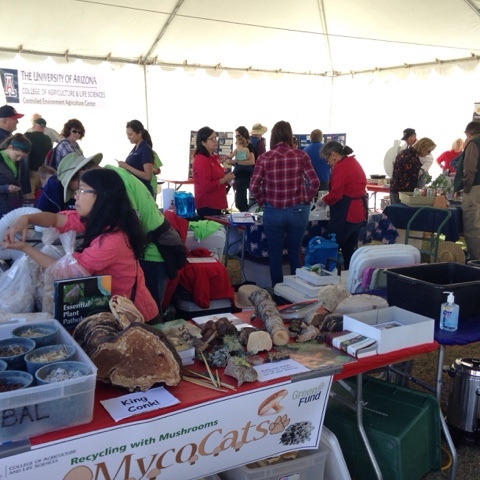 This is a large event that is free and it's a good event to bring children to pick out books, learn about nature, science and many other things that are on display. Be prepared for crowds. Children activities and science exhibits exist for all ages. 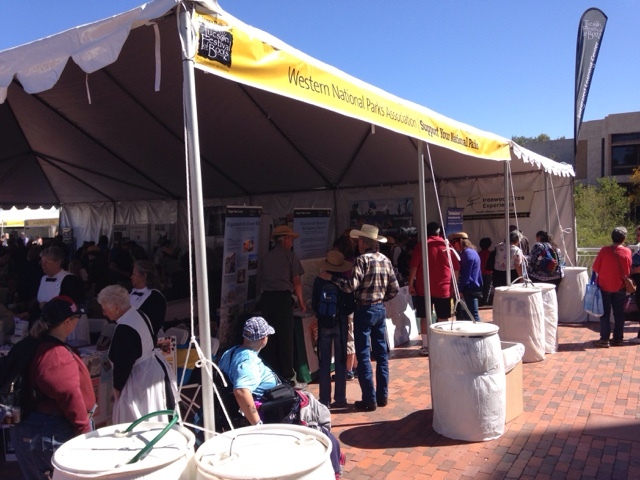 This one tent is devoted to western National Parks. They also had National Monuments as well. 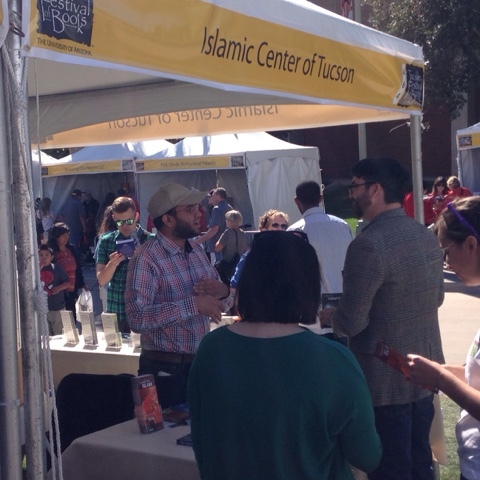 I liked the fact that the Islamic Center came out to help educate people about their religion/culture, as it's been villainized by many. 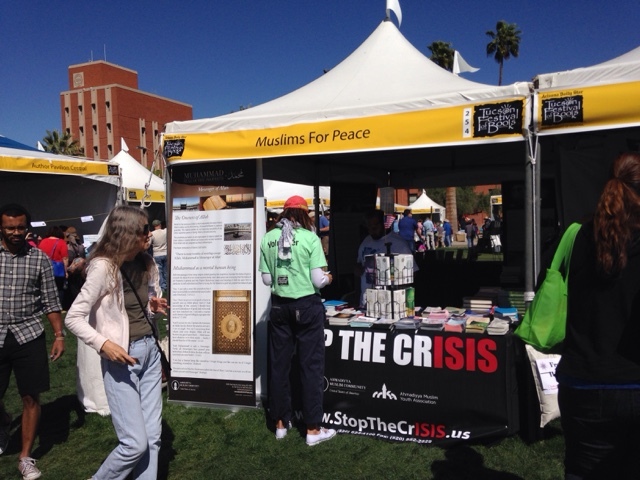 Another tent was sponsored by Muslams For Pease was also there to educate those that stopped by. 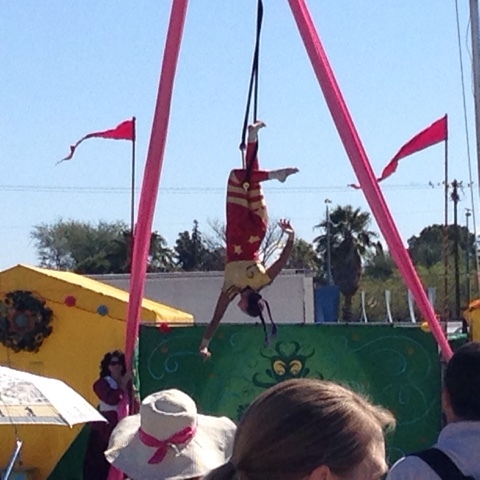 There were young acrobats showing off their skills. 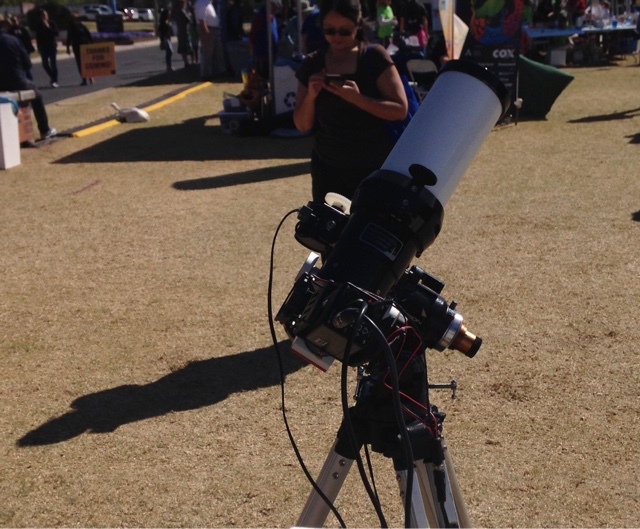 Nearby I stopped and talked to the amateur astronomers who were showing sunspots. I didn't know they used spectrum filters to give only the colors that best show sun spots. I had a great time attending although it gets crowded, so you need to plan out your time and come early. 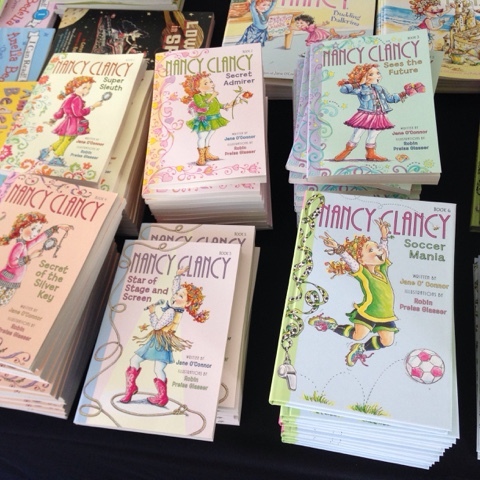 My favorite part of attending is talking to authors and feeling their enthusiasm and commitment to their writings. Their pashon energizes me! Driving Hundreds Of Miles At A Time. Are You Here For The Sunset?